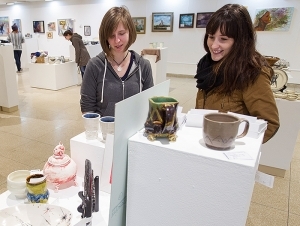 For the 20th year, Buffalo State art education, design, and fine arts students will sell their creations on campus—just in time for the holidays. Shoppers will find handcrafted jewelry, pottery, scarves, paintings, photos, prints and more at the Student Art Sale, held in Upton Hall's Czurles-Nelson Gallery on Wednesday, December 7, from 10:00 a.m. to 7:00 p.m. and Thursday, December 8, from 10:00 a.m. to 4:00 p.m. Directions, maps, and parking. Prices range from under $5 to several hundred dollars. "Who could have known that this event, which started out as a small sale on a graduation Saturday, would go on to last 20 years?," said Carol Townsend, associate professor of design, who has served as the sale’s faculty adviser since its inception. "A small amount of seed money, plus encouragement from the dean's office, spurred its initial development. The sale has grown into an extremely popular, self-sustaining event. Folks line up and wait for the gallery doors to open!" Students get to keep 75 percent of their sales with the remainder helping to defray the cost of next year’s event and supporting the students' individual departments and programs. In 2015, there were more than 950 works from which to choose. 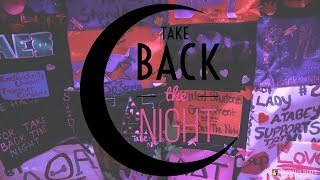 "Many thanks to our magnificent students from over the years who have made this major effort so worthwhile, and to the faculty, staff, and administrators who decorate their homes and offices, or give the art as gifts," Townsend added. "Please celebrate number 20 with us!"